Avenida da Praia Grande, No. 409, Macau S.A.R. Northside Consulting is reinventing the process of opening new properties with a state-of-the-art management approach that makes it smoother, more effective and efficient. As an Outsourced Strategic Project Management Office (PMO), we provide expert strategies and comprehensive solutions for any type of new project, from hotels and resorts to casinos and theme parks. Our approach facilitates ‘on time, on brand, on budget, on customer’ openings, ultimately optimising a property’s value and increasing investment returns. When opening a new hotel, resort, casino or theme park, Northside Consulting is there from the very beginning to guide the way. We understand that different projects go through distinct phases, which is why we do not offer a one-size-fits-all solution. 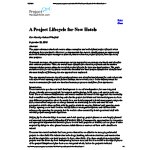 Instead, we carefully plan every phase of the project life cycle. Our tailored services take both strategic and tactical considerations into account to best suit your project’s specific goals, while IRR acts as the guiding light through the entire process. 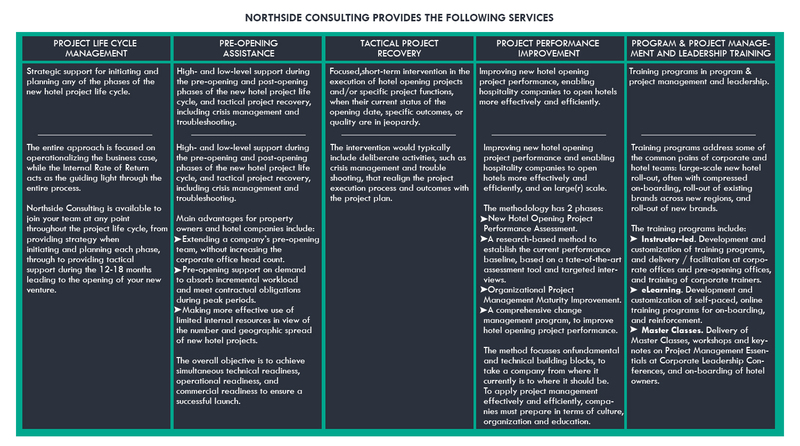 Northside Consulting is available to join your team at any point throughout the project life cycle, from providing strategy at conception through to providing tactical support during the 12-18 months leading to the opening of your new venture. 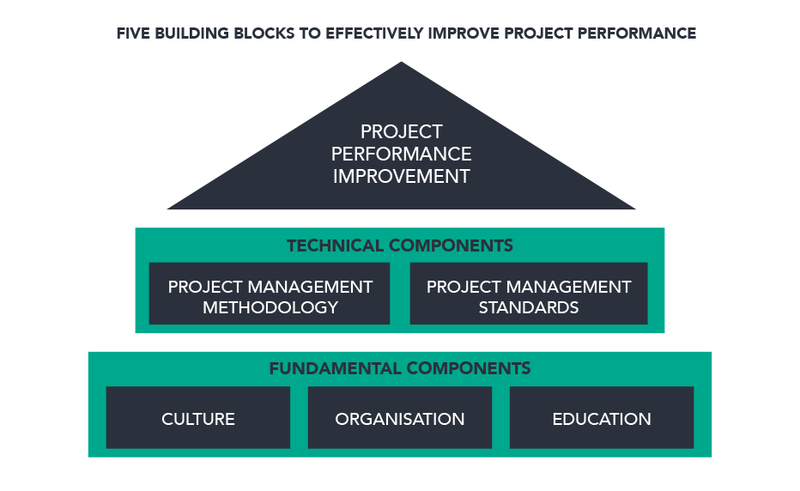 Discover more about how to effectively improve project performance here. Most new projects suffer from long delays and exploding budgets. To avoid such pitfalls and improve opening readiness, organisations must make fundamental changes in the way these projects are delivered. 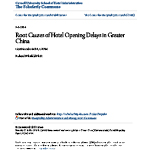 Ultimately, hotel opening management is about delivering new projects on time, on scope and on budget. The 5 Building Blocks chart outlines how owners and operators can improve the effectiveness and efficiency of opening processes. Northside Consulting is an innovative consulting firm offering bold solutions, specialising in Organisational Project Management for the hospitality industry. Our experience and expertise give us an intimate understanding of today’s hospitality business, but we are always prepared to challenge the status quo. Using both forward-thinking and proven Organisational Project Management concepts, we continue to transform the way hotel development is approached. Northside Consulting has built a strong reputation as an industry authority. We are the preferred strategic partner for improving hospitality project performance and optimising the Internal Rate of Return for new enterprises. Gert Noordzy, MBA, is an international hotelier, acknowledged hotel opening process maven and Organizational Project Management expert for the hospitality industry. He has over 20 years of professional experience in Greater China and South East Asia and has been involved in opening over 30 new hotels and 3 integrated resorts. For 15 years, Gert worked for 3 of the global top 5 hotel companies. He has held corporate roles specializing in hotel openings and project management since 2006. In these position, Gert led by setting strategies, direction and purpose, followed by scaling up the organizational capabilities in execution and transfer into operation. His forward thinking approach to opening new properties, facilitated ‘on time, on brand, on budget, on customer’ openings, ultimately optimizing a property’s value and increasing investment returns. 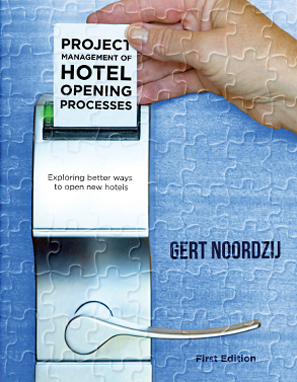 Gert started researching hotel opening processes in 2008 and is the author of the book on Project Management of Hotel Opening Processes. He has been working on his follow-up book as part of his studies for a doctorate in business administration. Gert Noordzy, Oscar Hauptman and Doug Meredith have teamed up to lead hospitality companies to improved new hotel opening project performance, enabling them to open hotels more effectively and efficiently. Their combined experience and knowledge in hotel openings, project and innovation management brings strong added value to the table. 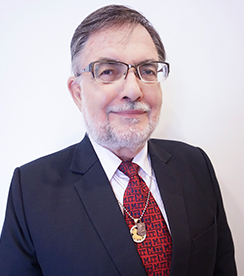 Dr. Oscar Hauptman, with a PhD in Management of Technological Innovation from the Massachusetts Institute of Technology, has more than 30 years of international experience as a hands-on academic and business consultant, with global expertise in project, program and innovation management. As a consultant, Oscar conducted numerous international professional training seminars and consulting projects, including Port of Singapore Authority, Tata Motors, Tenix Defence Systems, Tata Motors, Malaysian Agricultural R&D Institute, Intel, Polaroid, UNIDO, International Wool Secretariat, ICI Explosives, and Schmidt Vietnam. Oscar’s executive positions include managing director of a high-technology incubator; founder and president of boutique consulting firms specializing in high-technology management and investment; and project management of new product development. He has been a non-executive director of technology-intensive start-ups. Oscar has taught MBAs, Executives and PhDs as faculty member at Harvard Business School, Carleton University (Canada), Melbourne Business School, and Western Sydney University. 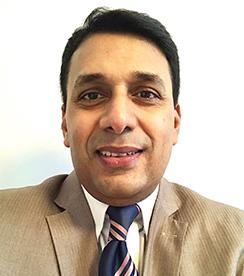 He has held visiting positions in Singapore Management University, IMD (Switzerland), the Israel Institute of Technology, University of Cape Town, KIMEP University (Kazakhstan), and recently at Saint Joseph University, Macau SAR, China. Doug Meredith, MBA, CPA, with more than 35 years’ experience in the international hotel and tourism industries in senior executive, advisory and consulting roles, in Australia, New Zealand, South East Asia and the Pacific brings a pragmatic general and financial management dimension to our project management team. He has been a member of teams tasked with identifying hotel market opportunities and then researching, planning, developing, building and opening international class hotels. 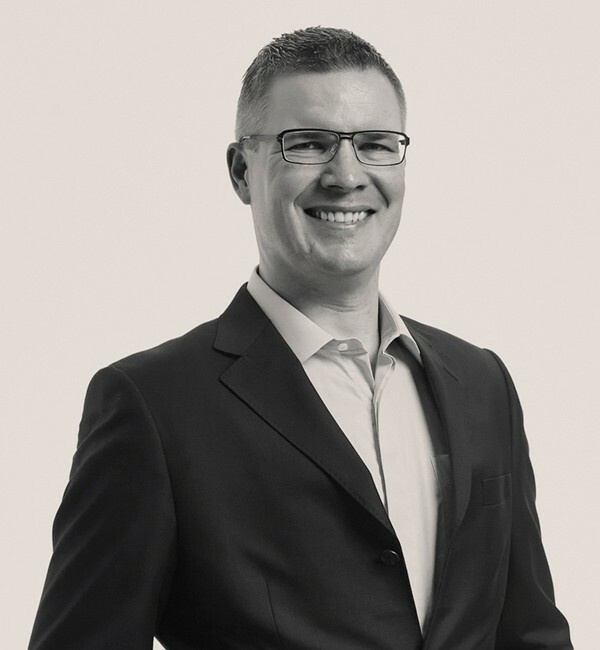 Doug’s analytical skills blended with a practical, hands-on approach to project management and post-opening strategic and business plan implementation has seen his services in high demand from both established and first-time investors and developers in the hotel market. His low-profile, professional technique and drive to “get the job done” and crystalise desired outcomes is a stand-out feature of his contribution to our team. Doug commenced his career in the international hotel industry in 1979 when he was recruited to become a member of the senior executive team drawn together to stabilise and successfully grow a struggling hotel owning and operating company, through re-development of existing strategic sites as well as through acquisitive and organic growth. The lessons he learned from that hotel development experience continue to stand him in good stead today, for the benefit of our clients. Robyn is a highly experienced professional with 35+ years of hospitality experience gained in several countries working both at hotel and corporate level. Her career spans General Management, Sales & Marketing, Food and Beverage and Rooms at Hotel level and Quality Assurance, Brand Strategy and execution, Change Management, Project Leadership, Leadership and team development at an international level. She is passionate about bringing a brand/company to life through the internalising of a brand promise through a company’s Service Culture and has had an integral role in the implementation and ongoing delivery of an on brand service culture for several international brands including W Hotels, Le Meridian, St. Regis, Luxury Collection, Corinthia Hotels & Resorts to name a few. Robyn works with organisations to create a solid Quality Assurance Framework with a final goal to deliver consistent and high quality experience bringing to life the company’s vision and values for the customer. An integral part of the success of this framework is the development of easy to follow and implement SOP documents and training for management and employees alike. 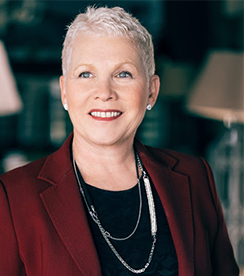 Prior to co-Founding Impact Consulting, Robyn held the position of Vice President and Brand Leader for Design and Luxury brands for Starwood Hotels, Europe, Africa, & Middle East (EAME). In this role, she led the brand and Quality Assurance efforts of nine brands across 240 hotels. As VP Operational Innovation Robyn led the Innovation and Change Management initiatives for Starwood EAME across 240 hotels. Currently residing in Malta Robyn has been the recipient of various professional and personal awards, including “Queensland Business Woman of the Year”, International Woman Chiefs of Enterprises Achievement Award for Contribution to the Australian Tourism Industry and Starwood “President’s Award”. 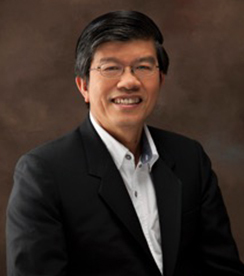 Keng Liang is the founder of GJH International, and an industry veteran with 30 years of professional experience in providing hotel’s development consultancy and technical services. His experience spans across 18 countries in Asia Pacific, with over 80 successfully completed real estate and hospitality projects. His success stems from humble beginnings in the industry. He started as a site engineer working with contractors to build public housing and later luxurious condominiums. He then moved on to work for established corporations and global companies including Hilton Worldwide, InterContinental Hotels Group, Dusit International, Perennial Real Estate and City Developments Ltd, where he held a variety of senior leadership roles. One of his largest undertakings was as Chief Operating Officer of Sportshub Pte Ltd, the consortium that was overseeing the contract and development management of the Singapore Sports Hub. Today, this integrated facility is the largest event venue in Singapore and a national icon. Keng Liang is capable of adapting, appreciating and taking hold of complex issues and difficult operating conditions in multi-million-dollar mega project portfolios, and delivering desirable outcomes for all stakeholders. Working alongside contractors, consultants, real estate developers and hotel operators, Keng Liang has received sterling commendations for his sincerity, rectitude and dedication to his work, as well as his contributions in the hospitality and real estate industry. Currently residing in Singapore, Keng Liang holds a Bachelor Degree in Engineering and a Master of Science in Building Science. His style of leadership is well-recognized as pragmatic, sensible and respectful, driven by a desire to achieve positive outcomes for businesses and people. Toine (Yusuf) IJSSELDIJK is a hospitality and travel industry veteran with 25 years of hands-on experience in sales, marketing and distribution. His expertise includes pre-opening commercial readiness planning, traditional and digital marketing, distribution, as well as business reviews. In his early career Toine was instrumental in setting-up and managing sales & marketing for Accor Asia Pacific in Indonesia. This resulted in a promotion to a senior role at Accor’s regional head office in Bangkok, responsible for sales for the group’s portfolio of hotels in Asia. In 2008, Toine moved into the world of online travel, filling senior executive positions at Asia Web Direct, one of Asia’s pioneers in online travel, and Australia’s Wotif Group (now both successful online travel brands under Expedia Inc.). In 2010, with in-depth market expertise and a growing interest in entrepreneurship, he successfully embarked on a challenging mission: to launch Indonesia’s first home-grown online travel agent and wholesaler, thereby pioneering the archipelago’s emerging online travel market. Toine returned to the hotel industry in 2014. He joined Tauzia Hotel Management, leading sales, marketing and distribution. Leveraging his in-depth expertise and extensive network, Toine recently set-up his own consulting firm. His integrity, bottom-line focused approach, analytical skills and pragmatism drive growth and profitability for stakeholders, through effective sales, marketing and distribution. Toine currently resides in Indonesia, sharing his time between Jakarta and Bali. 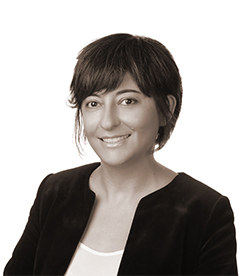 Azat Ogulmus, BA, MSc, started her career in hospitality over 10 years ago. Her areas of expertise are Sales & Marketing and Business Development. Starting in hotel operations, a hotel pre-opening experience in Baku, Azerbaijan triggered her interest in hotel real estate development and project management. Having worked for both hotel owners and operators, she understands the interests of both sides. Her cross-cultural communication skills and passion enable her to work with all stakeholders toward positive project outcomes in the region. 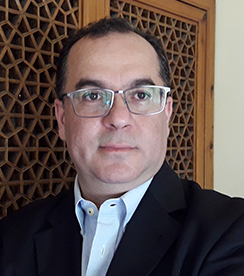 Azat is an avid researcher, and is contributing to the global research project “Assessing New Hotel Opening Processes” in Turkey, Azerbaijan and a number of CIS Countries. Presently residing in Istanbul, Azat holds a Bachelor’s degree in International Relations from the Eastern Mediterranean University, as well as a Master of Science in International Tourism and Hotel Management from Oxford Brookes University. She was the recipient of Marriott’s prestigious Golden Circle Award – Bronze Level for her outstanding sales contribution in 2011. Azat is currently preparing for the Project Management Institute’s CAPM® examination. Thiva Kesavan has been a career hotelier for over 20 years. He has worked in key leadership roles in pre-opening and re-branding projects across Asia with several boutique and International hospitality management companies. A reliable leader with a mature entrepreneurial mind-set, Thiva has been pivotal in developing and executing asset enhancement and financial diversification strategies of hotel developers, owners and operators. 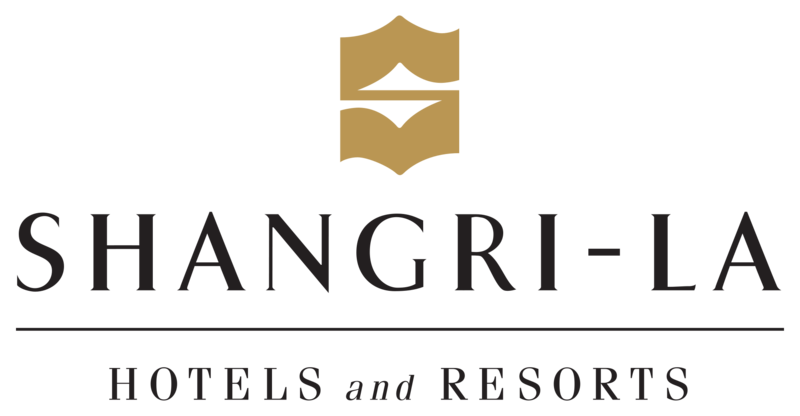 After successfully leading the US$ 100 million transformation of The Pan Pacific Singapore, he joined a visionary developer in Indonesia as Vice President, Operations for the development of a small cluster of privately-owned islands for the development of one of the world’s biggest integrated eco resorts. He currently holds a board directorship with the owning company. Presently residing in Singapore, Thiva holds diplomas in Counselling from Kaplan School of Management and Marketing Management from the Management Development Institute of Singapore. Thiva is passionate about coaching aspiring leaders and high-potential talent. Northside Consulting is an effective and reliable partner for high-level, strategic perspectives on organisational project management. This approach assists investors in aligning projects with corporate strategy, and drives the realisation of the business case to ensure IRR. 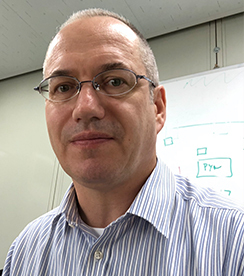 Gert Noordzy’s in-depth experience will help advance organisational capability by linking project and programme principles with organisational enablers to support strategic growth. Working with multiple stakeholder groups, Gert Noordzy successfully defined the programme structure of one of the groups’ new integrated resort destinations. He then formulated an effective strategy to integrate individual project efforts of over 40 projects for an ‘on time, on brand, on budget, on customer’ launch. This programme management approach ensures realisation of benefits and control not available when managing projects individually. I worked very closely with Gert Noordzy on the initiating and planning of the pre-opening phase of a new, US$ 2.5 billion integrated resort destination. Gert truly comprehends the complexities of opening diverse multiple projects simultaneously and has a deep understanding of new property opening processes. His planning and integration efforts have contributed to a strong foundation for success of the programme. 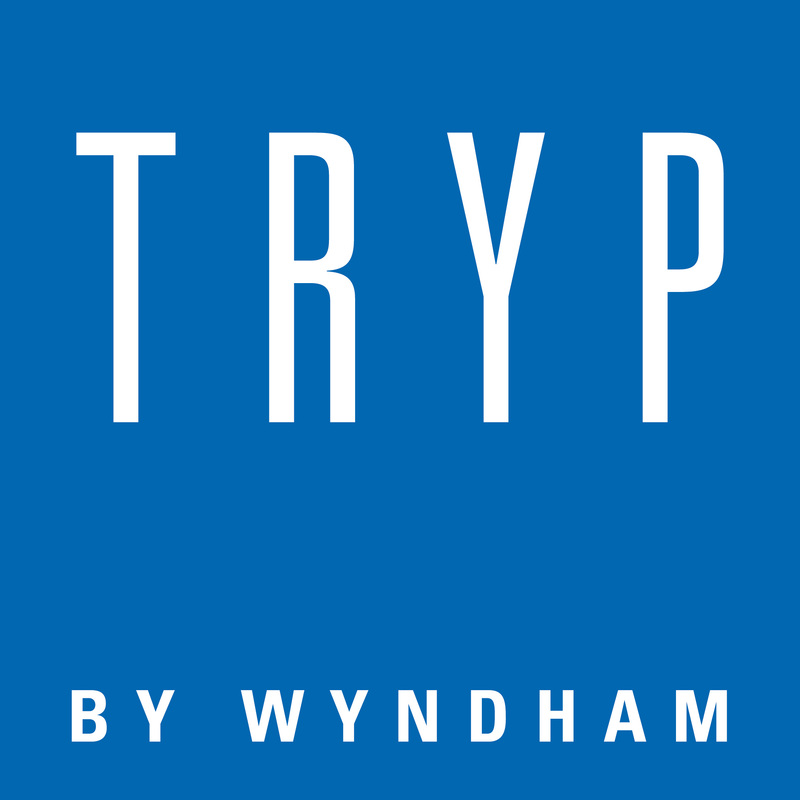 Wyndham Hotel Group has engaged Northside Consulting to conceptualize the strategic adaptation and subsequent program management of the large-scale roll-out of Microtel in Greater China. The senior leadership team and I remain extremely impressed with Gert’s level of strategic vision and ability to scale up our organizational capabilities to execute. Northside Consulting team deployed in Nepal to assist in the pre-opening and post opening phases of Tiger Palace Resort Bhairahawa. The team have proven experts in complementing our team in ensuring our hospitality asset is simultaneously technically, operationally and commercially ready to open, and processes in place to achieve our targets. We could not have done it without them! Thank you Gert, Robyn and Vincenzo! 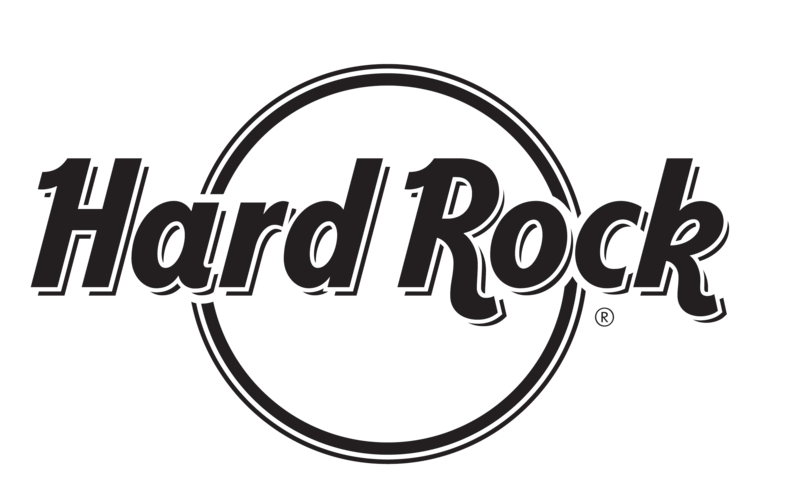 The Northside Consulting Team, consisting of Gert Noordzy, Vincenzo Perez and Daniel Yeung deployed to assist our corporate hotel team in the final stretch to open Hard Rock Hotel Shenzhen. We found this team very dynamic, engaged, pro-active and look forward to working together with Northside Consulting in the future! The IHG Greater China development pipeline continues to grow and with it the need to invest in our future General Managers and teams who are responsible for opening on brand, on budget and on time. Based on insights gathered from the various stakeholders of our pre-opening process it was evident that our future General Managers needed additional skills and expertise specifically in the areas of Project Management. Based on their respective expertise specifically relating to Pre-Opening Project Management we selected Gert Noordzy and Robyn Pratt of Northside Consulting to work alongside us in developing a meaningful Project Management Training Program which would add value to our leaders and their teams. The objective of the program was to provide new hotel opening General Managers with practical project management skills to enable successful pre-opening process for all stakeholders. Robyn and Gert were genuine in their desire to base their tailored approach upon what made sense for IHG Greater China and our team members. Based upon their years of expertise they partnered with our corporate team in the design and development of the relevant content which has resulted in e-learning and instructor-led modules, with a comprehensive Train the Trainer program to enable internal delivery and ownership of the program. The quality of the content and delivery has exceeded expectations and delighted both the corporate and new hotel opening teams. They have demonstrated their ability to tailor their subject matter expertise whilst making it engaging, relevant and practical to new hotel opening General Managers, and easy to use! Subsequently, the program is being considered in other IHG regions. Inntempo™ Hospitality Development Enterprise Solutions is a state-of-the-art Central Office, Project, Pre-Opening and Operations platform for hotel owners and operators covering every discipline. The cloud-based application includes business development, technical services, project management, pre-opening budgeting, pre-opening management and human resources. Lifestyle Concepts is geared towards servicing the global hospitality, hotel and travel industries, through our different divisions, with complete solutions ranging from operational & management consulting to conceptualisation of F&B venues and procurement to virtual offices, IT infrastructures and online marketing. Publisher of 4Hoteliers.com. 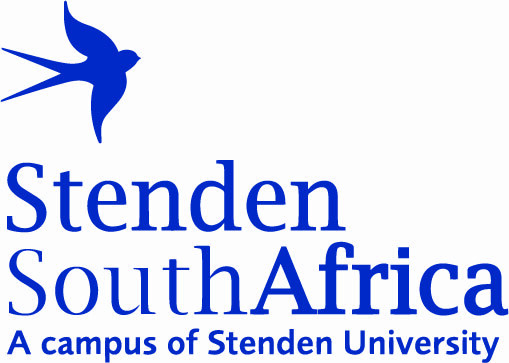 Stenden South Africa is a leading Private Higher Education Institution, offering full degree programs in Disaster Management and Hospitality Management. The School of Hotel Management and Northside Consulting have jointly developed and launched the first-ever Minor specialization in hotel opening management. This 9-weeks course fills an important gap in specialist hospitality education. The Minor has been designed in such a way that it aligns with the needs of the hotel industry, and covers all phases of the new hotel opening project life cycle. Greenview is a sustainability consulting and research firm that helps travel & tourism organizations with their sustainability strategy and programs. Greenview works with many of the industry’s leading companies, as well as citywide event planners, destinations, associations, and research institutions to advance sustainability as the industry’s thought leader, and provide the most effective and practical implementation support for its clients. 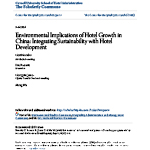 Through its software solution, the Greenview Portal, hotel companies can streamline the management of their portfolio data and access best practice for sustainability in hotels. Procurement Solutions Group (PSG) is a boutique consulting firm, specializing in delivering strategic procurement solutions to clients in the hospitality, leisure and corporate sectors. The team has a proven track record of delivering savings across a vast range of sourcing categories across international markets. ExtraPro Entertainment is a boutique entertainment solutions firm at the leading edge of entertainment design, consultancy, and technology. The firm brings together the entertainment world's best professionals, tech, and resources under one entity, at the service of its clients projects globally. ExtraPro provides the unique advantage of entertainment projects designed in-house, tailored to specific creative needs and business requirements, all systems synchronized, delivered ready-to-launch. With countless iconic entertainment spectacles successfully executed the team reinvents the process of creating experiences, through a customized approach tailor fit to clients’ needs with a smoother, more effective and more efficient process. Turnkey Project & Construction Management company, focusing both on new built and retrofit hospitality projects, advising and guiding Project Owners on all project aspects including Development Feasibility, Cost & Program Management, Design and Construction. Northside Consulting explores ways to better manage new hotel openings and improve the efficiency and effectiveness of processes. Northside Consulting endeavours to conduct and publish research in this field and challenges the hotel industry to improve its new hotel opening track record. Vincenzo Perez started his hospitality career in 1986 and was the Italian Finalist at the prestigious Bocuse d’Or world cooking competition in Lyon, France just seven years later. He then went on an international culinary voyage as Executive Chef in luxury properties in Singapore, Lebanon and Portugal and has travelled as Guest Chef in Japan and Switzerland’s finest Hotels such as the Baur au Lac in Zurich or the Okura in Tokyo. Early 2008, Vincenzo moved into a corporate culinary role, as one of the key team members of the hospitality division for a major mixed-use project development, The Pearl Qatar, where he was the main brain behind the planning, design and implementation of some of the most exciting and trendy F&B concepts on the island. An expert in management of large culinary operations in high-end hotels, resorts and mixed-use projects, since 2013 Vincenzo specializes in F&B operational consulting, planning and design of foodservice facilities and commercial kitchens. With more than 25 years of professional experience in the luxury hospitality market, his main focus now is on conceptualization, planning, design, pre-opening and start-up of Food & Beverage concepts. Presently residing in Dubai, Vincenzo holds a Baccalaureate in Hotel and Catering Technique from Italy’s prestigious Istituto Alberghiero di Stato Alassio and he is HACCP certified by Highfield Middle East and Asia. In addition, he is a certified ICMC (Italian Cuisine Master Chef) and, since 2014, a Professional Member of the world recognized FCSI (Foodservice Consultants Society International). Cindy Xing, MBA, started her career in hospitality in 2004 and developed an instant passion for new hotel openings. Over the past 7 years, she held senior Training and Development roles with one of the top 5 global hotel giants, and one of Asia’s leading luxury hospitality management companies. 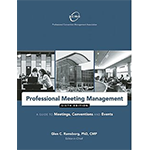 A seasoned trainer and coach, Cindy’s rich career and real-life experience have provided her with broad and deep insights into the cultural aspects of (hospitality) management. Cindy has a natural talent for cross-culture communication, which enables her to work with multiple stakeholders toward positive project outcomes. In 2010, she started researching psychology in hospitality management, and continues integrating psychology to enhance her training and consulting performance. Presently residing in Chongqing, Cindy holds a Master’s degree of Business Administration from the Hong Kong University of Science and Technology. She has been certified as a Master Trainer of Neuro Linguistic Programming of NPL University US. Cindy is currently studying for her Master of Psychological Science at Chongqing’s Southwest University. Derek Martin, BCom, started his career in hospitality in 2006, and developed a passion for Revenue Management. Over the past 6 years, he held several senior property-based and corporate Revenue Management roles with regional and international brands, including one of Asia-Pacific’s leading hotel management companies. In 2015 he moved to Asia-Pacific as Director of Revenue with one of the region’s leading hotel management companies. Having become aware of a talent shortfall in revenue and data analytics on the African continent, Derek returned to South Africa and founded TrevPAR World, a global consulting firm specializing in Total Revenue Management. 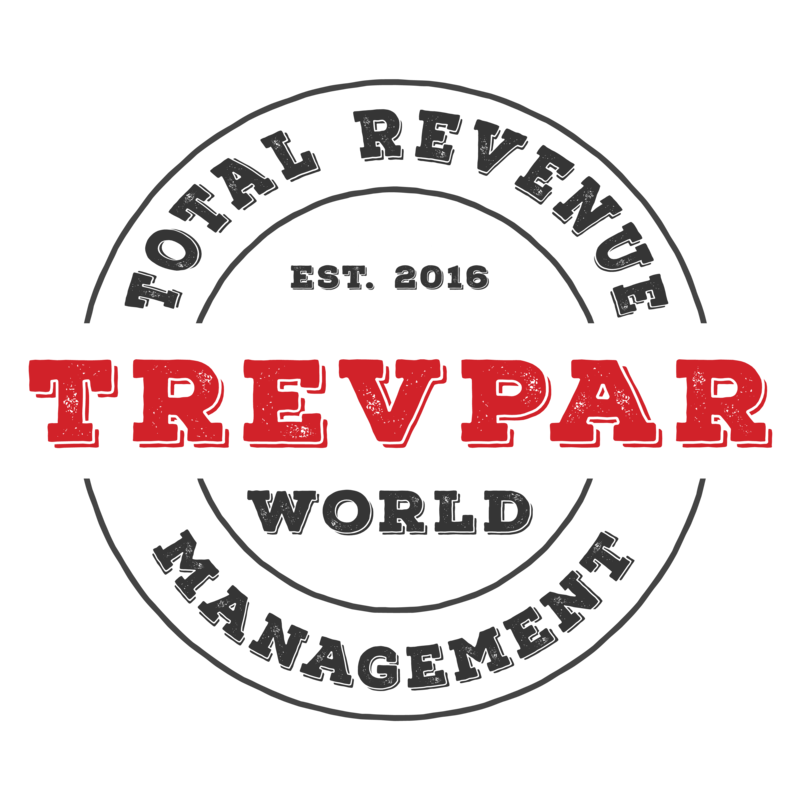 TrevPAR World is now 2 years old and does daily commercial management, revenue management, sales & marketing management and social media for over 56 hotels ranging from large international corporate brands to local independent hotels and lodges. The entire TrevPAR World portfolio is showing great results not only in terms of total revenues but also brand awareness. Derek Martin is a member of the Stenden Advisory Board as well as the aha Hotels and Lodges Executive Board and currently is involved with hotel strategies and strategy development at the highest levels across a number of hotels on a daily basis. 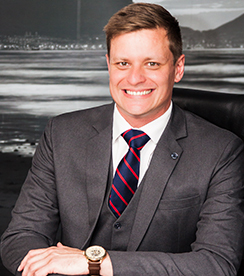 Presently residing in South Africa, Derek holds a Bachelor of Commerce degree in Hospitality Management from Stenden University’s School of Hotel Management in South Africa. His passion for Revenue Management led to the establishment of a Revenue School and the development of the very first Revenue Management degree on the African continent, in partnership with Stenden South Africa. 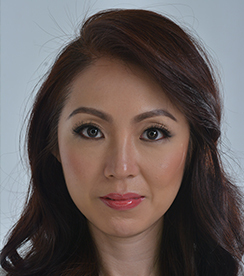 Amanda Chong, BBA, is a result-driven marketing and communications executive with over 15 years of international and regional experience. She has successfully practiced her know-how in the hospitality, leisure, tourism, F&B;, attractions, lifestyle and entertainment industries. Amanda has worked for international brands such as Tourism Australia, Atlantis, The Palm Dubai, Tune Hotels, Sunway and Berjaya, to name a few. Amanda has been involved in major pre-openings and rebranding campaigns for international hotel brands, an integrated retail development and attractions. A rich awareness and deep understanding of the marketing side of business, from large corporations, GLCs and SMEs, led to the creation of Gray Matters Consultancy. A vision founded upon building integrated marketing communications solutions with a difference, Amanda allows for successful brand management through the eyes of an individual with vast experience in the landscape of marketing. Presently residing in Kuala Lumpur, Malaysia, Amanda holds a Diploma in Hotel & Catering Management from Damansara Utama College, Malaysia, and a Bachelor’s degree of Business Administration in Tourism & Hospitality from Macquarie University, Sydney, Australia. David Bingley, is a second-generation Hotelier and Hospitality Professional, who has specialised in Food and Beverage Operations and Training, with a particular focus on Maximizing Labour Effectiveness and Labour Utilization though Cross Training and Engagement in both front and back of house highlighting the importance on the Service Processes, Customer Engagement and Product Knowledge. He has a passion for Creating Restaurant Concepts, Design and the Service Processes as well as Rebranding or Transforming Restaurant existing Concepts. He has spent the past 20 years living and working in Asia, primarily in Hong Kong, Macau, Mainland China and Thailand. Working for the largest international hotel chains as well as for regional and local properties and independent free standing brands David has covered a wide spectrum of the industry dynamics, from fine dining to night-spot entertainment to high-street casual dining and bar working up from supervisory level to Director of Food and Beverage and Hotel Manager. Presently, David is perusing his passion for teaching, instructing and mentoring, in all aspects of food and beverage. He is a huge advocate for improving ROI through training programs, in particular for supervisory and junior management, effective communications and body language, problem solving and handling guest complaints, empowerment and integrity and Sales and Revenue Generation through teaching Situational Selling. Gurvinder Patara is the founder of Procurement Solutions Group (PSG). He is a modern and progressive procurement professional with over 20 years of international experience across Asia-Pacific, and Europe, Middle East & Africa. 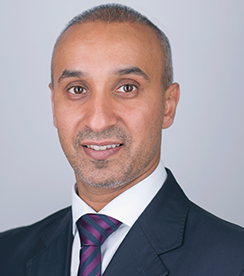 Gurvinder started his career in 1994 in Marketing with Barclays, and subsequently with RCI and Cendant where he formed the Cendant Europe procurement function. In 2008, he became Director of International Procurement for Wyndham Worldwide, and was promoted to Vice President of International Procurement 2 years later. Gurvinder has a proven track record to develop and deliver procurement, and business development strategies across multiple sourcing categories in the hospitality sector. He has developed and managed a comprehensive international supply chain to deliver cost savings, provide operational expertise and add value throughout the procurement process. His fortes include strong supplier partnerships and network, and driving cost savings strategies through innovation, collaboration and procurement best practice. To date, he has delivered £80m cost savings for its clients. Presently residing in Kettering, United Kingdom, Gurvinder holds a B.A. Honours degree in Business Studies from the Birmingham City University, and a Postgraduate Diploma in Marketing from the University Northampton International College. He is also a published author, writing children’s books to help raise money for various charities. 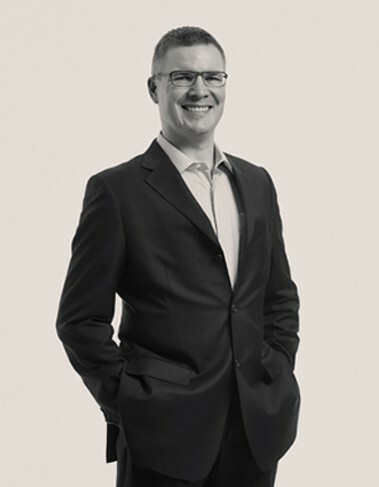 Jonathan Mobbs is the Founder and Director of Box Projects, a Singapore registered business. An accomplished project leader, Jonathan brings over 30 years’ experience delivering the highest standards of professional services and takes a hands on approach to project delivery. A qualified Building Surveyor, Jonathan has extensive project, design and construction management experience across a wide range of market sectors including corporate office, data centres, telecommunications, broadcast facilities, hospitality, health, residential, retail, and mixed-use developments. He is passionate about creating a collaborative environment to get the very best from the people’s experience, knowledge and ideas. Regardless of the size of a project, his consistent approach is as if it were his own. His innovative thinking enables him to overcome complex challenges. He possesses strong leadership qualities and experience to guide consultancy teams for successful end to end project delivery outcomes. Specialising in detailed scope, risk, budget and schedule analysis, Jonathan also provides comprehensive stakeholder management, procurement and contract administration experience. Some of the most notable projects: Desaru Coast Resort Development, Datai Langkawi Refurbishment, Holiday Inn Singapore, American Club Singapore redevelopment, LucasFilm Sandcrawler Building, Battersea Power Station Redevelopment, BBC White City and Broadcasting House developments, RBS Data Centre Scotland, HSBC and British Telecom property portfolio’s. Dr. Alan Powell is a relationship focused leader who simply leverages Income Generation. 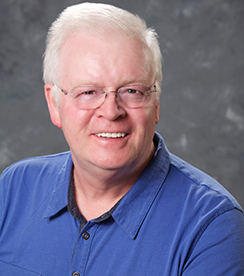 A scarce resource, he applies Communication, Teaming and Commercialization skills to root engineering skills - as a manufacturing and productivity solutions architect, along with five-decades of proven commercial income development, within hundreds of enterprise engagements, all sizes of commercial entity, and over four continents. Knowing that ‘Failure’ is a virtual commercial certainty, while fully understanding just what it takes to develop a successful business entity, he brings unquestionable capability [93% Success Rate] as a relationship manager and team leader, while offering visionary ‘to-market’ solution design skills to achieve typical ‘Revenue Doubling’ [192% average + 530% peak multinational corporate growth rate] outcomes - ‘Year-upon-Year-upon-Year’ [for periods extending to 5 years]. As ‘Rainmaker’ Program Director, Team Mentor and Coach he is totally committed to the open ‘transfer of skills’ for the attainment of timely successful outcomes, through measured Team Member selection practice, and each Individual’s tailored development. Maxwell Zetlin is the charismatic Founder and CEO of ExtraPro Entertainment Ltd., a Hong Kong registered Entertainment Solutions firm. Maxwell brings his global experience to the entertainment sector of hospitality as a passionate and innovative leader specializing in conceptual development and business modeling. 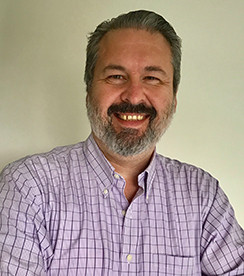 Together with his business partner and counterpart Ted Mizrahi, a 30-year entertainment technical veteran, ExtraPro establishes a pragmatic end to end approach to developing some of the largest and most complex entertainment spectacles around the world. From the US to Southeast Asia, Maxwell has extensive experience developing and operating some of the largest entertainment installations globally. Endeavoring to reinvent the industry and explore new boundaries, Maxwell draws from his experiences working in the most competitive entertainment markets around the world fusing cultural influences to develop iconic entertainment experiences. Specializing in concept development, business modeling, and resource planning Maxwell's creativity and exemplary business acumen enables him to overcome the most complex challenges while consistently delivering successful entertainment projects around the world. Some of his most notable projects include: Marquee Nightclub, Tao Beach club, Lavo Las Vegas, Megu Trump Tower New York, and in 2013, he was brought in to lead the development of the $120 million dollar entertainment venue Cove Manila (Southeast Asia’s biggest indoor beach club and nightclub, part of the $3 billion dollar integrated resort giant Okada Manila). He was designated as Vice President of Entertainment before moving to establish ExtraPro Entertainment. Hugo Weijermars, Managing Director of EMINEO International is a seasoned professional with over 30 years of experience in the building construction industry. He specializes in turnkey Project & Construction Management solutions for hospitality asset developments, both in urban areas, as well as remote locations, with resource constraints and complex logistics. 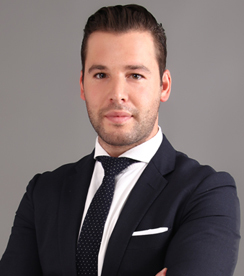 His in-depth know-how to undertake projects from inception to completion in Asian, African and Middle Eastern markets, makes Hugo unique in the hospitality development industry. He is an asset to project owners and developers alike. Throughout his career Hugo has undertaken numerous hotel and resort developments. Hands-on, representing contractors, consultants, developers and project owners directly, he provides a 360º assessment and advise on a most suitable approach to commence and deliver projects in line with project owner expectations. 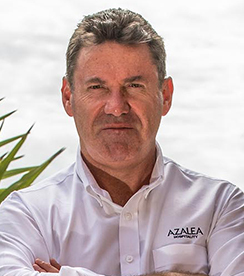 David Townend is the founder and managing director of Azalea Hospitality. David is arguably one of Asia’s leading destination golf resort and hospitality experts, having spent the past 25 years developing and operating market-leading, international award-winning facilities across Asia-Pacific. During his career, he has been engaged by leading hospitality and management groups, including Starwood, IMG and Troon Golf to create and manage some of their premier facilities. In addition, he spent five years as the Corporate Director for the Asia-Pacific division of Troon Golf, where he was responsible for business development and operations management. 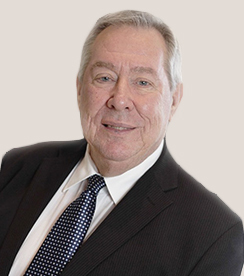 Prior to establishing Azalea Hospitality, David was Senior Vice President for Themed Attractions, Resorts & Hotels, where he oversaw the development and operations of three luxury destination golf projects under the Els Club Malaysia brand. The success of the first project was unprecedented, winning global recognition, which included the World’s Best New Golf Course and Asia’s Best Golf Course at the World Golf Awards. 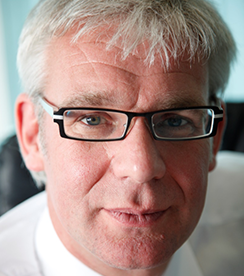 Gareth has over 35 years’ experience in all facets of hospitality management, hotel refurbishment and construction, business management and property development. He has worked across continents in Egypt, Thailand, Maldives, Greater China, United Kingdom, Scandinavia, Australia and New Zealand. His roles have ranged from line & general management through to corporate and as principle. His hospitality career has seen him work for hotel and tourism companies like Richard Branson’s Virgin Hotels and Resorts, Red Sea International Hotels, Toga Hospitality, Choice Hotels International, Dusit Thani Group, Compass Group, Patterson Consulting and AHS Hospitality. He is alumni of Cornell University’s School of Hotel Administration and the University of Western Australia. Over the last four years, Gareth has been bringing together the best of unitized construction designs from Europe, the United States and China to launch the building of mid-scale hotels, and developing leading edge data management and automation technology for the hospitality industry. 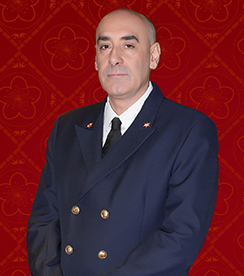 Angelo Balbi has more than 30 years of hospitality experience, with his first steps being in Food & Beverage and Front Office in Monaco and Italy. In 1989 he entered the cruise industry and joined Princess Cruises, serving for 15 years and rising to the rank of Hotel Director. After a short stint as hospitality consultant in Zanzibar, Tanzania and Papua New Guinea, Angelo boarded once again and joined MSC Cruises, where he is currently serving as Hotel Director. In his 25-year cruise industry career, Angelo has been involved in the launch of 5 new cruise vessels. In 1989 he was part of the launch and maiden voyage of the Crown Princess, a 70,000 ton vessel for 2,000 passengers and 670 crew, the world’s largest cruise ship ever built at the time. Angelo holds a Bachelor’s degree in Hospitality Management and Culinary Arts from the Marco Polo MIB School of Hotel Management in Genoa, Italy. He frequently contributes articles on the cruise industry to tourism magazines in Italy. 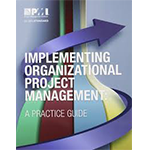 More than 85 occupations across a wide variety of functions and industries use project management to plan and execute projects efficiently and effectively. 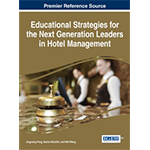 Despite high growth on the global scale, hospitality does not rank amongst these industries, so now is the perfect time to transform the hotel sector via strategic project management. 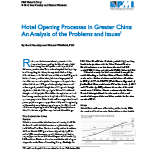 Project Management of Hotel Opening Processes was written for hotel-opening project managers, developers, vendors, owners, asset managers and hospitality educational institutions. The book explains how traditional approaches to launching hotels do not work efficiently, cause multiple delays and cannot be scaled. Author Gert Noordzy introduces more effective strategies and guides readers on how to build foundations for success when it comes to meeting deadlines. Project Management of Hotel Opening Processes is an in-depth examination of modern management concepts in the hospitality industry. Please fill in information below and stay in touch! © Copyright 2016 ~ . Northside Consulting Limited.